Assistant Professor, Department of Public Relations and Advertisement, Shih Hsin University. PT Assistant Professor, National Taiwan University. Ph. D of Institute of Applied Art, National Chiao Tung University. 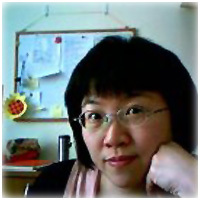 The 2nd and 3rd Chairperson of Association of infoDATE, Taiwan. Advisor of Association of the Visual Arts in Taiwan. 2007 Boom!- An Interplay of Fast and Frozen Permutation in New Media, Taipei National University of Arts, Kuando Museum of Arts, Taipei County.